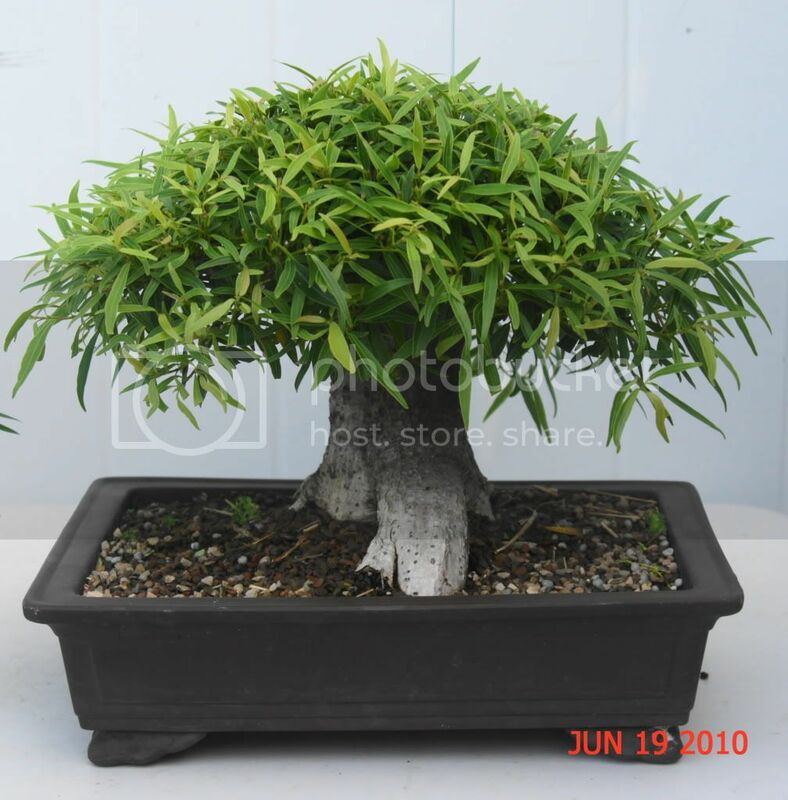 I just picked these shohin Ficus Nerifolia up today. For the price, I'm quite happy with them. Tomorrow, I'll work on them a bit, maybe identify different pots for some of them. Last edited by Zootenval on Sun Jun 20, 2010 10:48 am, edited 1 time in total. nice truck and ramification on 2 of them bro. Gotta love the FL weather. Thanks for sharing. Here is this neat little nerifolia after repositioning front in a different pot and a haircut. where did you get them? And can we get some measurements and if you don't mind price. I got them locally in South Florida from another afficionado. 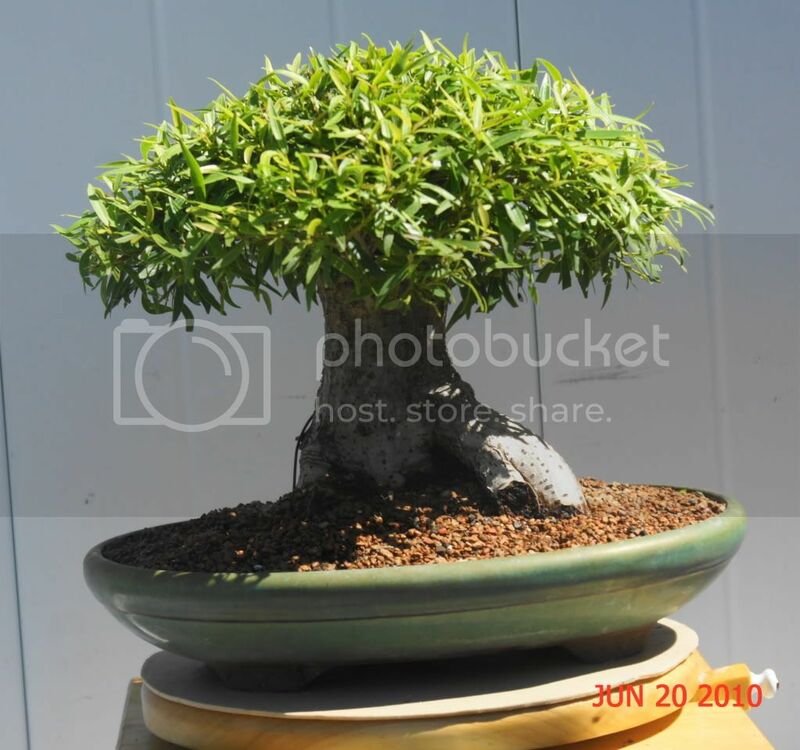 The one shown in the new pot is 9" tall from the soil, 12" canopy, 2.5" thick trunk and a 7" nebari. I purchased the 4 for less than $200.